Information Leading You to Becoming a Better Crocheter. 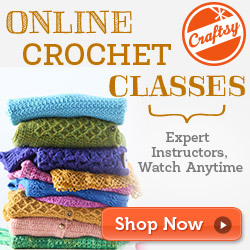 Another wonderful Crochet Business Chat Live session this week! If you missed it, no worries. We’ll catch you up right now but remember the session is every Monday at 11 am CST. You can join HERE! I had an incident at an event where a potential customer went through my table (touched everything), and told me I was way overpriced but she liked 5 of the items I was selling. She basically offered to pay for 2 and get the rest free. I politely said, no, I can’t afford that much of a price cut on my items and tried to explain how they were all handmade but she cut me off and made a scene. How would I handle this if it came up again? Can anyone relate to this situation? While I’ve never had to deal with anyone making a scene, I’ve had people tell me my prices were too high. What I would say is don’t try to explain WHY your prices are set as they are. It’s your business and you don’t owe anyone an explanation and more importantly, don’t get suckered into feeling like you do. What you could do is maybe offer her a discount for buying more than one but already have your discount prices listed and readily available. My best piece of advice is practice your speech of what you would say should you ever find yourself in this type of situation. I know this sounds crazy but do it. I’ve given many speeches before and practicing in the mirror or while I was driving helped me so much when it came time to perform. You want those words to roll right off your tongue so the person knows and understands you are talking business. Make eye contact with all your customers….never look down while you are talking with them because it shows a sign of weakness. If you don’t like confrontation (because I know I can’t stand it) then avoid it by speaking in a professional yet firm manner while looking them in the eyes. Look, I know there are some people out there you may not be able to reason with and that’s okay too. It happens. Don’t take offense to it though because only a crocheter understands how much time, effort and love is spent making each project. 2. How in the world do you make/design/create your own logo? You could always hire a graphic designer to help you create your own logo but so many of us are stay at home moms or work part-time and spending a lot of money isn’t an option. So….what do you do? 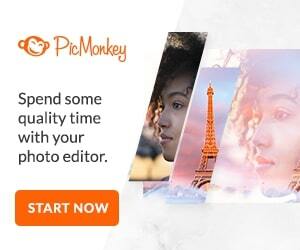 I use PicMonkey and love it for all my photo needs. You can create your own logos, edit images, add a watermark, etc with this program. They have a free version but you can also use their paid version that’s $33/year which isn’t bad at all. I suggest taking a look at it and playing around with an image to see what you can do. 3. When you design a pattern, how many other people do you get to help you test it for errors, ability to understand, etc.? I don’t have many friends who crochet, so how do you reach out to people about testing your pattern? Finally, is it actually considered a common courtesy to provide them the yarn/supplies needed (or at least compensate for supplies) to complete the pattern? I know there are several groups in Ravelry that are designated where you can ask people to test for you. You can also join Facebook crochet groups and ask within that group (I have a few people who do that in my group). Finally, most designers offer the completed pattern as a way of compensating the tester. Lorene stated she sometimes will offer a monetary compensation depending on the difficulty of the pattern. She also has a group of 25-50 testers with different levels of experience because someone may not always be able to meet your deadline so keep that in mind too. 4. At this time, I am a maker. I would like to transition to designer in the future. Any tips? You want to have a pretty good handle on how patterns are written, so I would study some of them from various books or magazines. Once you start designing and find great testers, they will help you to create a well written pattern. It’s something that evolves over time and the more you do it….the better you get. I would also have some of the other aspects of the crochet business in place such as developing a Facebook business page, Twitter, Pinterest, Instagram, Ravelry and possibly even an Etsy account ready. For the Ravelry and Etsy account, you’ll need a PayPal account too. (Is your head spinning yet)? If you haven’t noticed, social media is going to be your best friend but a very needy best friend. Designing is only about 1/3 of the crochet business while the other 2/3 is spent marketing and promoting yourself. (Lorene and I plan on writing more detailed information about this very subject of self-promotion in the near future). I hope you’ve enjoy reading today’s chat notes and will join me and Lorene next week for the next Crochet Business Chat Live on Monday, November 10th at 11 am CST. Note: the chat live session is linked to my ELK Studio Crocheter’s Group! You can always stayed tuned by joining my newsletter and Lorene’s newsletter to stay up-to-date on the latest crochet news, FREE patterns and coupon codes! Have a great day. Be blessed.